The Darent Valley 10k is my yearly ritual race. 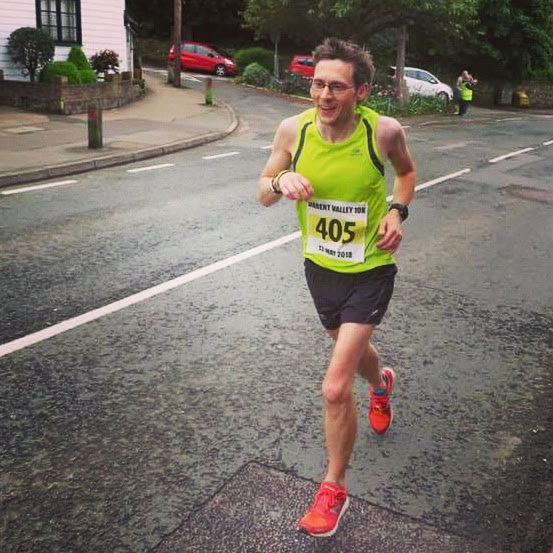 I've run it every year since I moved to Dartford and 2018 marked my fifth time running it. The build-up to this race was not ideal for me - I spent six weeks during March and April not feeling too well and did absolutely no running whatsoever. So expectations were not high, and that was fine with me - All I wanted to do was enjoy the event and maintain my streak. I usually cycle over to the race, but this year I didn't feel I had the strength in me to cycle there, run, and then cycle back home. So I reluctantly took the car. 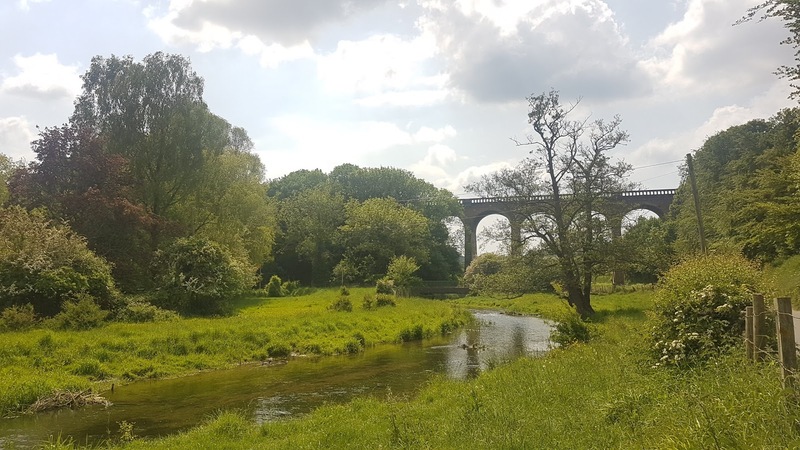 Parking is pretty tight in and around Eynsford and Farningham, but there is a field which a local farmer allows runners to park in just a few hundred metres from the race HQ at Anthony Roper School. If you've read my previous blogs you'll already have a pretty good idea of the set up of this race, and nothing has changed. So after using the school hall to get changed and store my bag I headed out to get warmed up and use the toilets (I avoided the queue this year). The race has a nice, early start time and at about 8.20am I got into position around the school gate. The weather conditions were pretty perfect, no wind to speak of and the spring air was slightly cool, but not cold. It's probably a good time to mention that I was taking part in this race as an unattached runner having not renewed my running club membership. So the race got underway and I found myself alongside my friend Richey. Together we kept a decent but sensible pace throughout the opening couple of kilometres. After that we went our separate ways and I maintained the decent pace - it wasn't an aggressive 10k pace, but ever-so-slightly under it. Probably more like a tempo run kind of effort, which felt good and I was able to enjoy the scenery without too much grimacing. 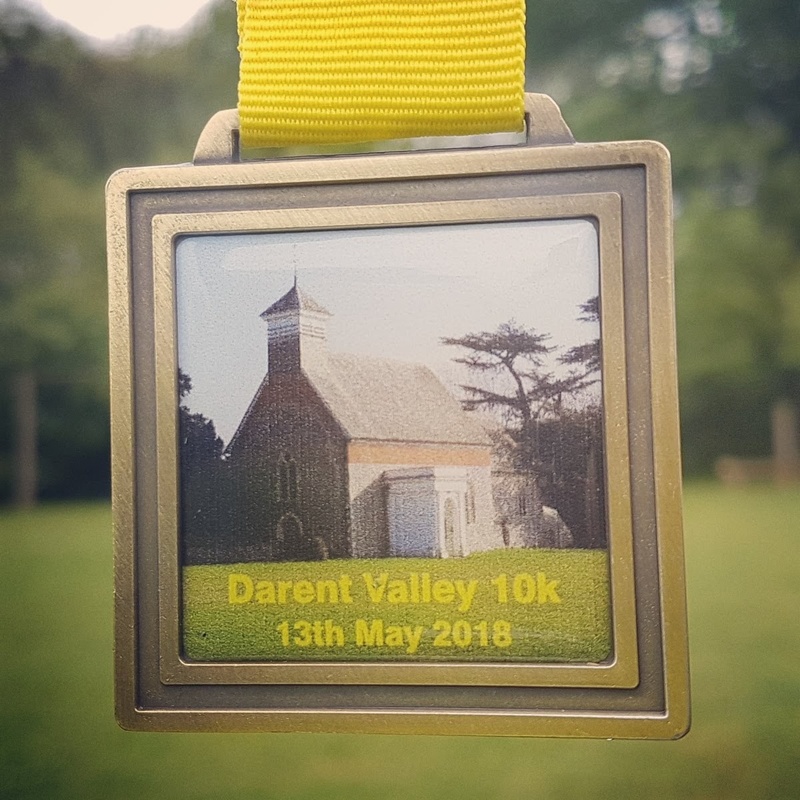 The views throughout the race are very scenic - there's the view over the Darent Valley itself, followed by the 9 arch viaduct, and, by the half-way point - Lullingstone Castle. Around this point my effort level had started to creep into what felt like 10k effort, and I climbed the slightly uneven path through the Hart-Dyke family farmland before joining the section along the Lullingstone parkrun course. This is the only part of the race that is off-road, and it covers about a kilometre. Still it has been dry and firm every year I have taken part and my road shoes have always been fine. ... and when it does, you are left with the final 2km which is almost entirely downhill. I always find it very satisfying to know that my fastest kilometre splits are saved right until the end. Looking at the breakdown of kilometre splits, as always my 8th kilometre was the slowest of the race because that contains the long stretch of continuous incline, and the final 2 kilometres were indeed equal fastest. This year's medal featured a picture of the St Botolph's Church which is within the grounds of Lullingstone Castle. This particular image was used in memory of Guy Hart Dyke who passed away in February 2018 aged 90. He had been the owner of Lullingstone Castle since inheriting it in 1969, and had kindly allowed the race to cross part of his land for many years. The castle and grounds have now passed to his son Tom Hart Dyke, and I hope the good relationship continues for many year to come.